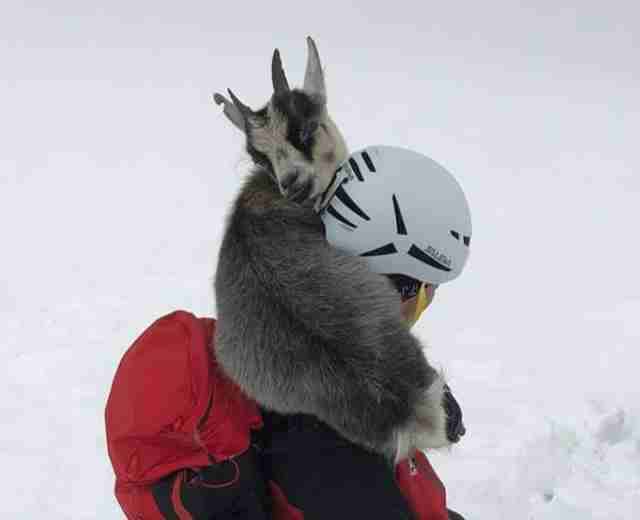 World, meet Gretl — a very determined little goat with a clear penchant for climbing. In fact, she recently reached the summit of a very tall mountain with relative ease for a novice. The only problem? Apparently nobody told her she'd have to climb back down. 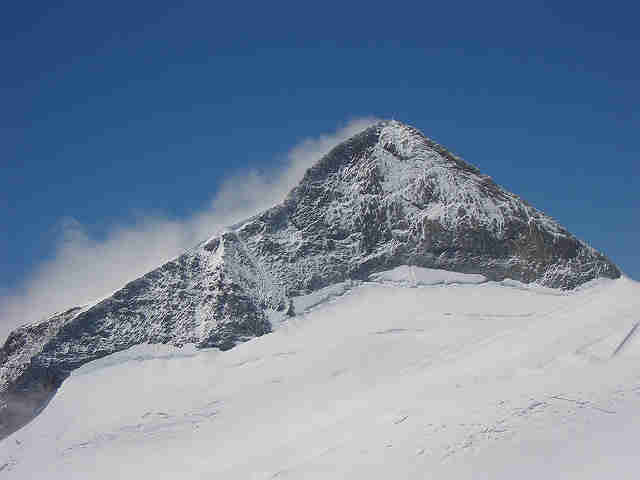 Last week, two mountaineers were hiking to the peak of the Olperer, a 11,404-foot-tall mountain in the Austrian Alps, when they suddenly realized they had become a trio. 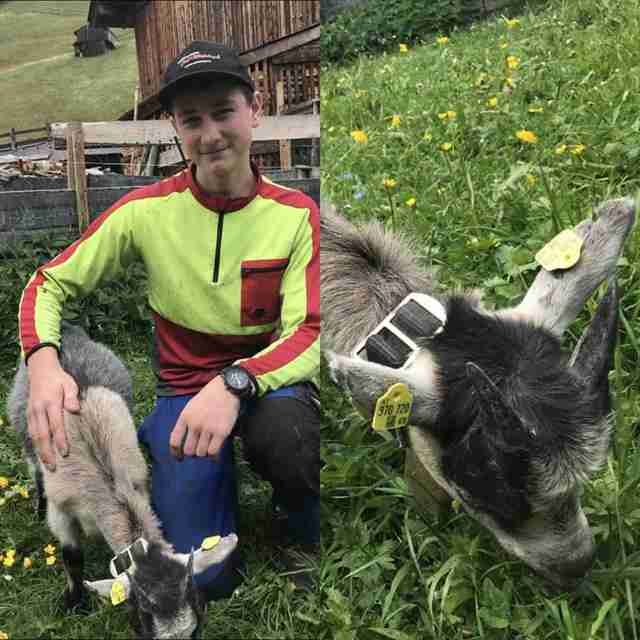 Seemingly out of the blue, Gretl the goat had joined their expedition. Where she had come from was anyone's guess — but it soon became clear that Gretl knew exactly where it was that she wanted to go. Step for step, Gretl scaled the mountain along with her astonished new companions, tackling the steep, snowy slope like a seasoned pro climber. 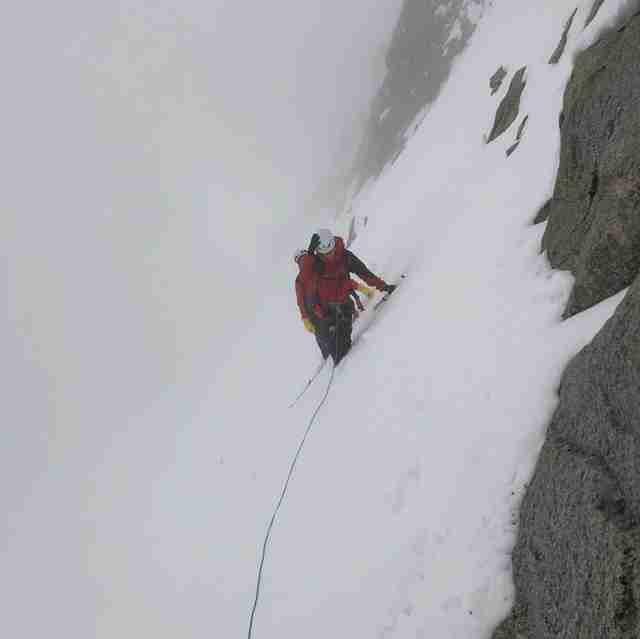 After reaching the summit, however, Gretl went astray. 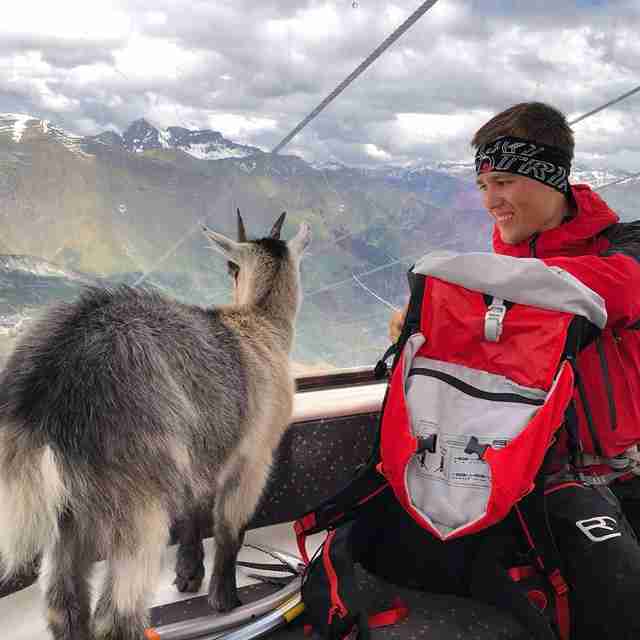 The two hikers tried their best to keep the goat on course with them for the descent, but she refused to follow their lead. They eventually lost sight of her as she evidently decided to try to strike out on a different route. That proved to be a big mistake on Gretl's part. 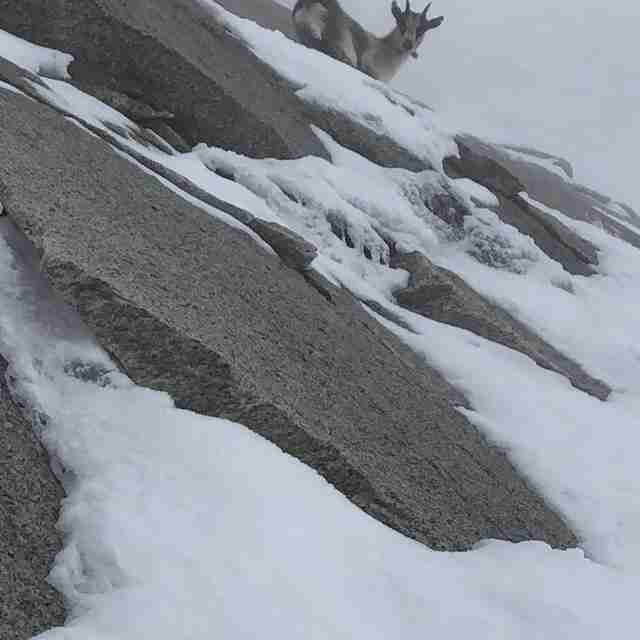 The little goat was now lost, and stood little chance of surviving long, stranded on the face of the cold, rugged peak. Fortunately, she'd soon get a helping hand out of her life-threatening predicament. 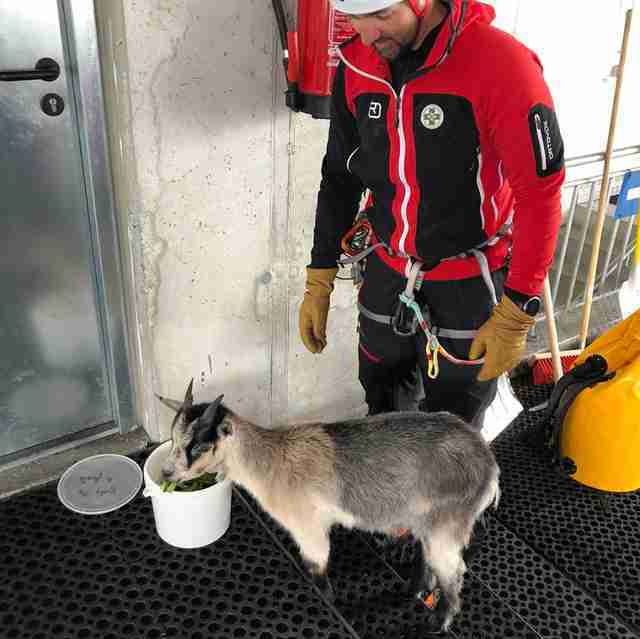 A day or so after the goat went missing, a gondola operator spotted Gretl up near the top of the Olperer and contacted a local alpine rescue party from Tux-Finkenberg for help. 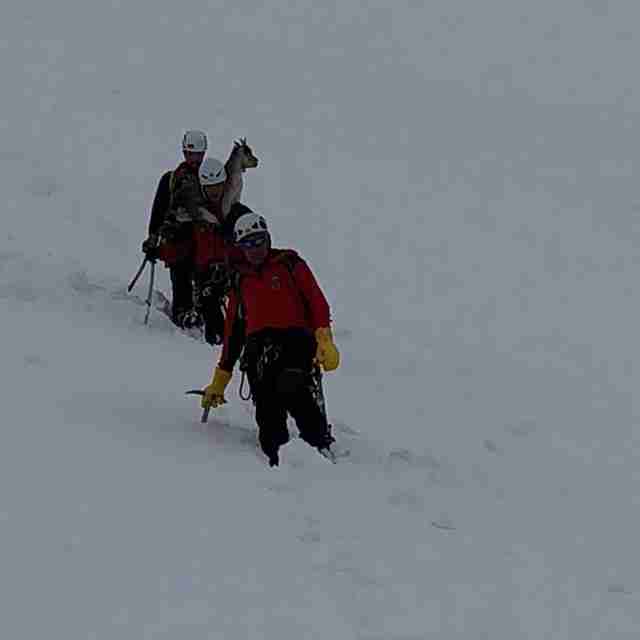 And before long, a four-member team began scaling the mountain to save her. 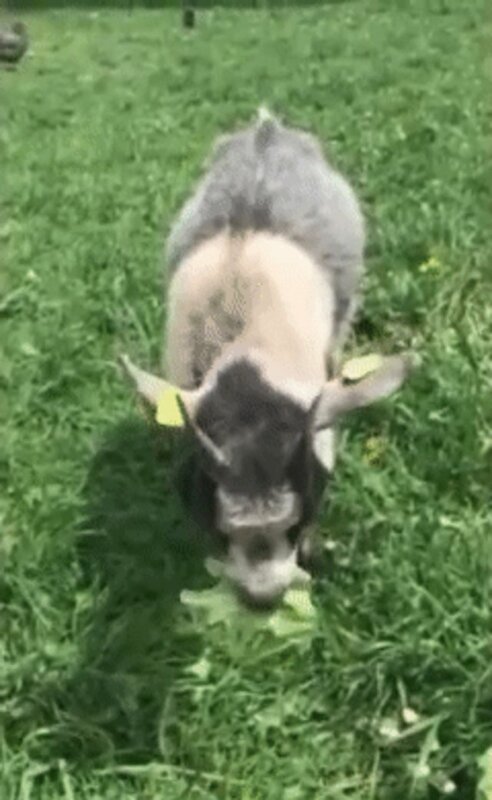 Thankfully, the rescuers succeeded in finding Gretl, who, by now, was too exhausted to even attempt the journey back down on her own four hooves. So, she was given a lift. Gretl was now in good hands — and she knew it. 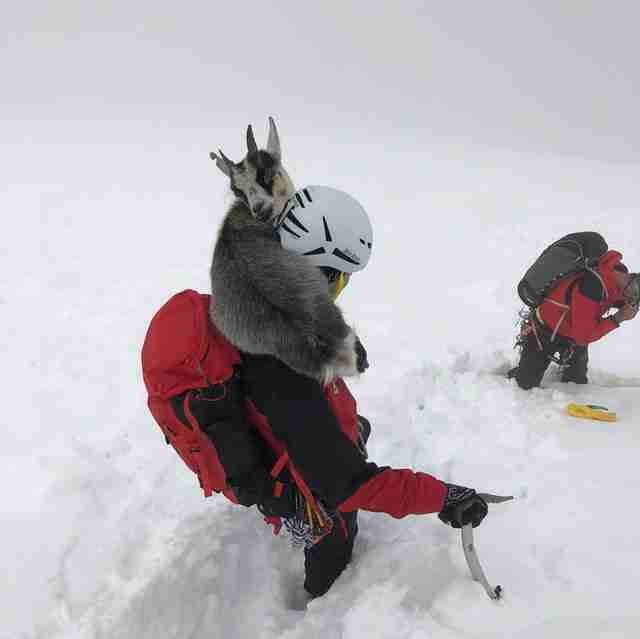 It was the goat's own ambition to be a mountain climber that got her into this mess, but no one seemed to hold that against her. Gretl's rescuers treated her just like they would any other distressed hiker, but Tux-Finkenberg wrote that it was perhaps their "most unusual" rescue mission ever. After completing the most perilous portion of the descent, Gretl got a lift the rest of the way down in a gondola. Now safe, she was finally able to appreciate the view. 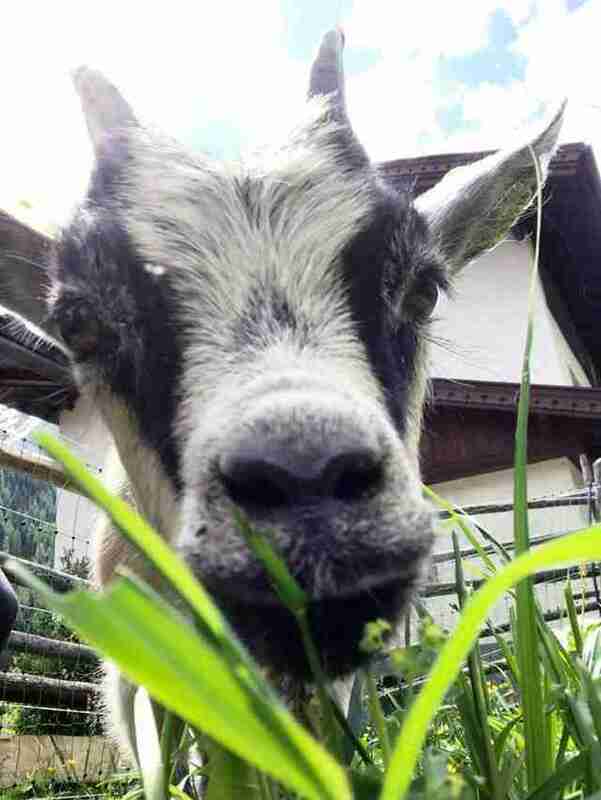 Gretl's rescuers were even kind enough to have a leafy meal awaiting her when she made it back down. Once Gretl was in the clear, Tux-Finkenberg then set about finding her owners. In the meantime, she was placed with a young caretaker to recover her strength. Then, just a day later, came another piece of good news: Gretl was reunited with her owner. While there's no telling what inspired Gretl to undertake the expedition which nearly spelled her demise, there's no doubt that it was the kindness of those who were concerned about her well-being that saved her. Hopefully, Gretl will now know to set her sights on adventures a bit closer to home.